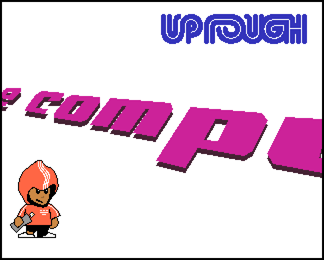 so they decided on the spot that all uppers would get free entrance and free booze at their party that they dedicated to us, namely Compusphere – Up & Rough! Bless ya’ll! Here’s a token of gratitude from Up Rough; ‘Anniversary’ a 64k intro. It reached the 2nd place in the intro/demo compo. Note: The NFO file inside the archive suffers from severe alcoholage, it will be fixed soon! #189: ekove//siregis/sigeris/evoke/s – 20 years!